I have been investigating the idea of using semantic techniques and technologies to enhance plays, along with the Montreal Semantic Web meetup group. There have been far fewer Semantic Web projects for the humanities than the sciences and even fewer that have examined the literary aspects of the theatre. Linked Open Data sets associated with the theatre are mostly bibliographic, library catalogue metadata, which treat plays from the point of view of simple objective properties of the artefact of a play, not its content: a play has an author, a publisher, a publication date, etc. Sometimes a nod towards the content is made by including genre, and there has been work on markup of scripts from a structural; perspective – acts, characters, etc. There are obvious and sound reasons for these kind of approaches, meeting bibliographic and structural use cases (e.g. “give me all the plays written by French authors between 1850-1890”; “give me the act, scene, and line references for all the speeches over ten lines long by a particular character”; “give me all the scenes in which more than three characters appear on stage at once”). Once we started discussing at the meetups how we could model the content itself, especially in a qualitative manner, we quickly became embroiled in questions of whether or not we needed to create entire worldviews for each play and how we could relate things in the play to their real world counterparts. 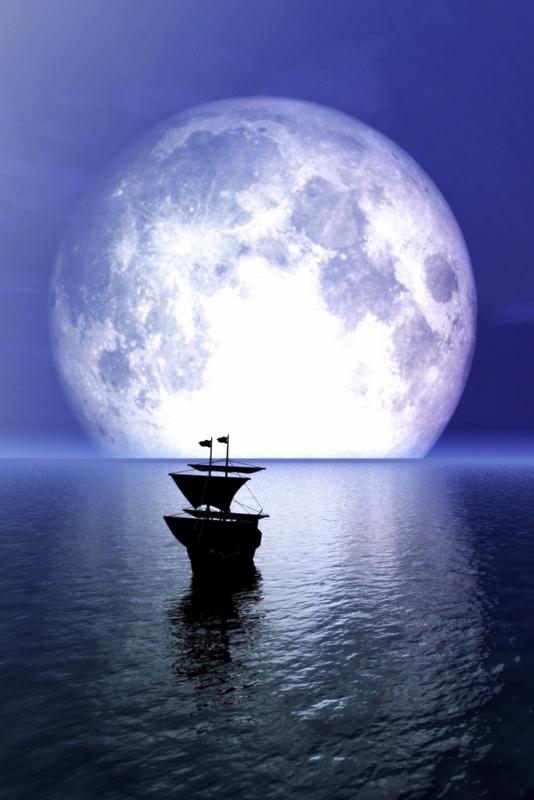 One of the plays we are working on – Ocean Opera by Alex Gelfand (to be performed at the Montreal Fringe Festival this June) – included the Moon as a character. How and by what relationships could we link the Moon of the play to the Moon in the sky, and then how could we link it to other fictional and literary Moons? Another play we analysed – Going Back Home by Rachel Jury – was a dramatization based on real people and historical events. It seemed obvious these should be linked to their real counterparts, and would a simple “is a fictional representation of” suffice? How should we relate depictions of historical events in the play to eyewitness accounts from the time or to newspaper reports? Should we define the world view of each play? Would it matter when defining relationships if there were events in the play that were counterfactual or scientifically impossible? How could we capture intertextuality and references to other plays? Should there be a differentiation between quotations and overt references by the author to other texts and less explicit allusions and shared cultural influences? One of the most appealing aspects of this project to me is that we have no strict commercial or business requirements to meet. A starting point was the idea of a “literary search engine” that ranked relevance not according to information retrieval best practice, but under its own terms as art, or perhaps even defined its own “relevance within the world of the play”. In other words, we would be trying to produce results that were beautiful rather than results that best answered a query. However, there are also a number of very practical use cases for modelling the literary world of a play, rather than just modelling a play as an object. Navigating within the text by answering such queries as ‘in which scenes do these two characters appear together’ answers one set of use cases. The BBC’s Mythology Engine was designed to help users find their way around within a lot of brands, series, and episodes, and characters and events were modelled as central. An equivalent set of queries for literary aspects would be “how many scenes feature metaphors for anger and ambition” or “which monologues include references to Milton”. If you extend such use cases across a body of plays, recommendation scenarios become possible. For example, “if you liked this play which frequently references Voltaire and includes nautical metaphors, then you might also like this play…” and there are clear commercial implications for the arts in terms of marketing and promotion, finding new audiences, and even in planning new work. These kind of “metaphorical use cases” could also serve as a rich seam for generating interesting user journeys through a literary archive and as a way of promoting serendipitous discovery for students and researchers. A lot of work that has been done at the BBC has been based around the concept of an ‘event’, and the relationship of events to storylines. This is particularly relevant for many practical and creative aspects of writing, compiling, broadcasting, archiving, and re-using content. For example, being able to distinguish the name of the journalist from the names of people who are mentioned within the story, and to distinguish between more and less significant people within a story according to whether they are mentioned as part of the main event or only in association with consequent or secondary events. Literary and metaphorical use cases might take a similar approach but decompose the events in a story in terms of the emotional development of the characters. One of the ideas that I find the most appealing, but is the hardest to pin down, is the idea of modelling the internal ontological world of a work of fiction. In a fictional ontology, you can have relationships that make no sense in the ‘real’ world, so modelling them cannot rely on the kind of sense-testing and meeting of requirements that we use so much in commercial contexts. In discussions, some people reacted very strongly against the idea of even attempting to model fictional worlds, which I found fascinating, while others immediately saw the idea as just another aspect of literary creation – an artistic endeavour in its own right. There is an epistemological tangent in ontological thinking that goes into a debate about realism versus anti-realism that I haven’t fully got to grips with yet. I am at the very early stages of thinking through all this, and not sure where it will go, but am enjoying starting to gather a community of interest. If you would like to know more, I have written in more detail about it all on the project blog: http://www.semantictheatre.org. Perhaps it is because I am settling into a new culture, or perhaps it is because my new time zone has altered the nature of what I see in my Twitter feed, but there seem to have been a spate of articles lately about sexism faced by women working in technology, which makes me very sad. This was on my mind when I received from a former colleague a copy of a report we had co-authored. As I read the list of names, I was struck by how wonderful a group of guys they were, how intelligent, creative, and technically knowledgeable, and what a pleasure it had been to be the only girl in the room. Those guys were utterly supportive, thoughtful, generous of spirit, and full of interest in and encouragement of my contributions. I am from an editorial background and I don’t really write code, but never once in that group did I experience any kind of tech snobbery. Whenever there was something that I didn’t know about, or unfamiliar acronyms or jargon, someone would provide a clear explanation, without every being patronising, appearing bored or impatient, or making any assumptions about what anyone “ought” to know. I was never made to feel I had asked a stupid question, said something foolish, or that I did not belong. At the same time, these men were always keen and interested to hear my perspectives, and to learn from my experiences. The group dynamic was one of free and open exchange of ideas and of working collaboratively to find solutions to problems. All contributions were valued and everything was considered jointly and equally authored. I didn’t remain the only girl in the room. I was learning so much in the meetings that I invited my (now former) colleague to join us, bringing a new set of expertise and skills that were welcomed. I had not a moment of concern about inviting a younger and even less technical female colleague in to the group, because I knew she would be made welcome and would have a fantastic opportunity to learn from some brilliant minds. Of course I have encountered much sexism in my career, but it is not necessary and it is not inevitable. I hate the thought of young women being put off technology as a career because of fears of sexism and discrimination. I know this happens a lot – it happened to me, although I found my way into tech eventually. I do not know whether there is “more” sexism in technology – a charge some of the post I have read have levelled – than there is anywhere else, but I do know that there is sexism in all industries, so you might as well ignore it as a factor and choose a career based on aspects like intellectual stimulation or good career prospects. Technology certainly offers those. I personally have encountered sexism in so-called “female friendly” industries such as publishing and teaching, and I am quite sure it is suffered by nurses, waitresses, actresses, pop singers…. Since I have been working in technology, I have often been the only girl in the room but almost always that room has been a fascinating, welcoming, and inspiring place to be. This is not primarily written for the specific individuals nor for all the other fantastic guys in tech I have met or worked with (there are so many I can’t possibly name them all), although I hope they enjoy it. This post is intended to promote positive male role models and examples of decent male behaviour for boys and young men to follow, and as a mythbuster for anyone who thinks sexism and geekiness are somehow intrinsically linked. It is also written for women, as a reminder that although we must speak out against sexist and otherwise toxic behaviour when we encounter it, approval and affirmation are very powerful motivators of change, so we also help by shouting about and celebrating when we find fabulous guys in tech and in life who are getting it right. The call for papers for the special issue of Aslib Proceedings on semantic search is now up on the publisher’s website. The deadline for submissions is December 15th. While researching something else, I happened upon this rather cheering paper: The effect of semantic technologies on the exploration of the web of knowledge by female and male users. Gender issues only tangentially affect my core research, as I generally focus on linguistic communities that are defined by organizational or professional context, so gender effects are rather diluted by that point. I also prefer collapsing false dichotomies rather than emphasizing difference and division, and so I was very heartened that this article shows how semantic techniques can be unifying. The study is based on observing the search strategies of a group of male and a group of female students in Taiwan. Given non-semantic search systems to use, the male students tended to search very broadly and shallowly, skimming large numbers of results and following links and going off on tangents to find other results. This enabled them to cover a lot of ground, often finding something useful, but also often left them with a rather chaotic collection of results and references. The female students tended to search very deeply and narrowly, often stopping to read in depth a paper that they had found, and trying to fully grasp the nature of the results that had been returned. This meant they tended to collect fewer results overall, the results tended to be clustered around a single concept, and they risked falling into the rather wonderfully named “similarity holes”. These “similarity holes” are search traps where a single search term or collection of terms leads to a small set of results and are essentially “dead ends”. How did semantic search help? When the students were given semantic search tools, the male students continued to search broadly and shallowly but the semantic associations helped them to conceptualize and organize what they were doing. This meant that they ended up with a far more coherent, relevant, and useful set of search results and references. In contrast, the female students using the semantic associations offered, found it far easier to broaden their searches and to come up with alternative search terms and approaches enabling them to avoid and break out of any “similarity holes” they fell into. I was very heartened that improvements in technology can be gender-neutral – they can simply be improvements of benefit in different ways to everyone, they don’t have to deliberately try to account for gender difference. I was also very heartened to note that the researchers found that gender differences in search strategies dissipated once students were taught advanced information seeking and knowledge management strategies. Gender differences were only apparent in novice, inexperienced searchers. So, in information seeking work at least, any biological or socially created gender differences are weak and easily overcome with some well directed instruction and semantic techniques are a help rather than a hindrance. This special issue aims to explore the possibilities and limitations of Semantic Search. We are particularly interested in papers that place carefully conducted studies into the wider framework of current Semantic Search research in the broader context of Linked Open Data. Research into Semantic Search and its applications has been gaining momentum over the last few years, with an increasing number of studies on general principles, proof of concept and prototypical applications. The market for Semantic Search applications and its role within the general development of (internet) technologies and its impact on different areas of private and public life have attracted attention. Simultaneously, many publicly funded projects in the field of cultural heritage were initialised. Researchers in many disciplines have been making progress in the establishment of both theories and methods for Semantic Search. However, there still is a lack of comparison across individual studies as well as a need for standardisation regarding the dissociation of Semantic Search of other search solutions, agreed upon definitions as well as technologies and interfaces. Semantic Search research is often based on large and rich data sets and a combination of techniques ranging from statistical bag of words approaches and natural-language-processing enriched via a subtle utilisation of metadata over classificatory approaches right up to ontological reasoning. Over the last 10 years a lot of initial technical and conceptual obstacles in the field of Semantic Search have been overcome. After the initial euphoria for Semantic Search that resulted in a technically driven supply of search solutions, appraisal of successful and less successful approaches is needed. Amongst other things the limitations of working with open world solutions on – only apparently comprehensive – linked open data sets compared to small domain specific solutions need to be determined. One ongoing challenge for semantic search solutions is their usability and user acceptance, as only highly usable walk-up-and-use-approaches stand a chance in the field of general search. For this special issue, we invite articles which address the opportunities and challenges of Semantic Search from theoretical and practical, conceptual and empirical perspectives. Best practice – how far along the road from ‘early adopters’ to ‘mainstream users’ has semantic search gone so far? Impact of norms and standardisation for instance (like ISO 25964 “Thesauri for information retrieval“) and the potential of Semantic Search? How are semantic technologies fostering a need for cross-industry collaboration and standardisation? How are Semantic Search techniques and technologies being used in practice? Practical problems in brokering consensus and agreement – defining concepts, terms and classes, etc. Papers should clearly connect their studies to the wider body of Semantic Search scholarship, and spell out the implications of their findings for future research. In general, only research-based submissions including case studies and best practice will be considered. Viewpoints, literature reviews or general reviews are generally not acceptable. Papers should be 4,000 to 6,000 words in length (including references). Citations and references should be in our journal style. Please see the author guidelines at http://www.emeraldinsight.com/products/journals/author_guidelines.htm?id=ap for more details and submission instructions. Submissions to Aslib Proceedings are made using ScholarOne Manuscripts, the online submission and peer review system. Registration and access is available at http://mc.manuscriptcentral.com/ap. Publication: Aslib Proceedings, issue 5, 2014. Aslib Proceedings (ISSN: 0001-253X) is a peer-reviewed high-quality journal covering international research and practice in library and information science, and information management. The journal is the major publication for ASLIB – the Association for Information Management in the United Kingdom – a membership association for people who manage information and knowledge in organisations and the information industry.